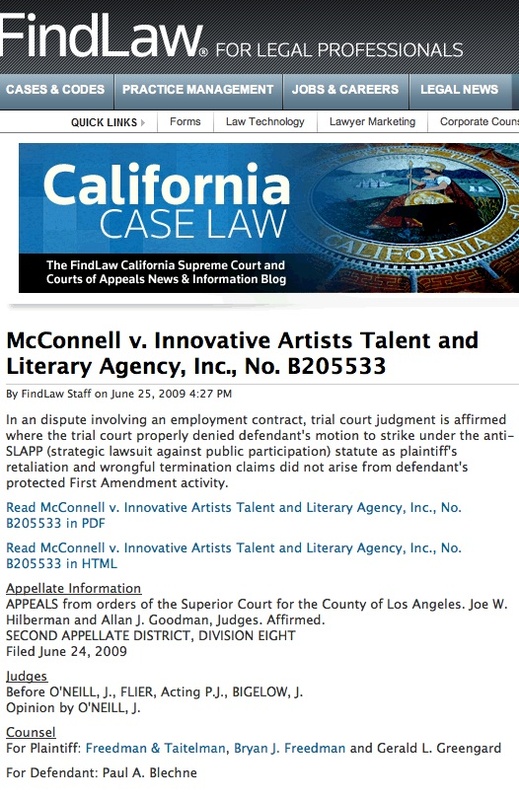 In an dispute involving an employment contract, trial court judgment is affirmed where the trial court properly denied defendant's motion to strike under the anti-SLAPP (strategic lawsuit against public participation) statute as plaintiff's retaliation and wrongful termination claims did not arise from defendant's protected First Amendment activity. Judges Before O'NEILL, J., FLIER, Acting P.J., BIGELOW, J. Opinion by O'NEILL, J.